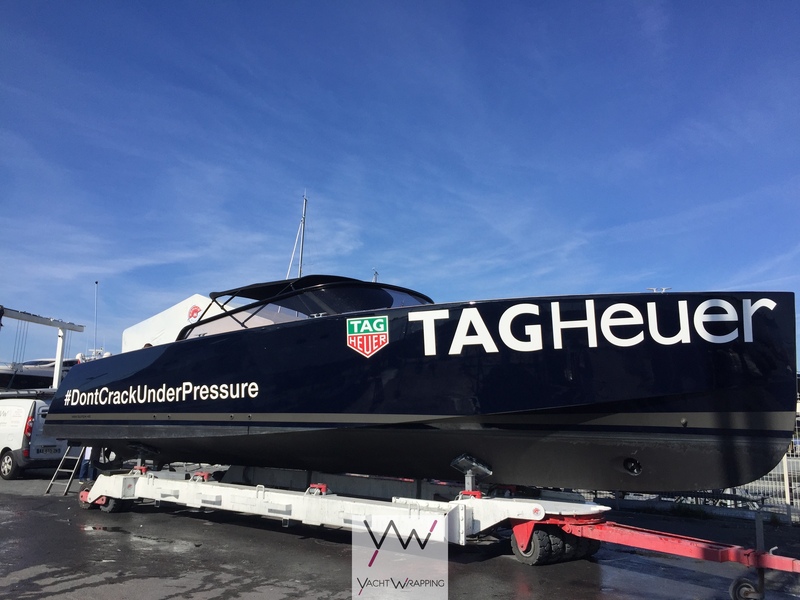 Van Dutch 40 – Boat Branding » Yacht Wrapping - L'adhésif au service de votre bateau ! Boat Branding on Van Dutch 40 for F1 Monaco Grand Prix. Tag Heuer and Johnnie Walker Branding.